It’s not the most pleasant of topics. But many of us have stains in the loo that we’ve either ignored and just put up with or tried countless things “guaranteed” to work to no avail. In this post I will show you and give you some instructions on how to get rid of those stains, hard water build up, lime and mineral build up (or whatever that is down at the base & in the bowl!). I will show you some other common toilet issues and natural Norwex solutions that can be used too. I love the descaler and this is the product that will work its magic on your toilet stains! Leaves taps and drains clean and sparkling like new. Works on a variety of surfaces, including shower doors, shower curtains, shower stalls, bathtubs, sinks and drains. Removes mineral stains where water has consistently dripped on a surface. Removes water marks from glass and tiles where water has evaporated, leaving minerals to stain the surface. If used regularly, lime buildup can be avoided. It contains no aerosol propellants. The next step involves our Norwex foot stone! Yes you heard right! Of course it will be a separate one from the one you use on your feet (& it is pretty AMAZING on cracked heels) however some features as to why our foot stone is the best you’ll use is it is 100% pure pumice and doesn’t break away like other foot stones I have personally tried. It’s great to use on the toilet as it is stone on stone, it works VERY WELL at budging build up on the toilet, without scratching the enamel. 4. Refill the loo & admire… Yay you! 5. Treat your hands with some of our hand cream (you deserve it & your hands will feel amazing)…. The Bathroom Cleaner is designed as an all purpose bathroom product (toilet, shower, tiles, bath tubs and sinks) and can be great for removing stains too. Its special formulation allows for deep penetration into surfaces, eliminating odour-causing bacteria and germs as well as dissolving rust stains, hard water scales and soap scum. This toilet had blue diamond (now called Bathroom Cleaner) used on the bowl to remove stains. Promise me you will reward yourself if you have to do this toilet cleaning job?!?! Try the hand cream… It really is amazing!!! Natural emollients from Grape Seed Oil, Coconut Oil, Shea Butter and other botanicals penetrate deeply to soften and condition rough, dry hands. Vitamin E and Organic Aloe Vera help protect, nourish and moisturise. Formulated with all-natural, chemical-free ingredients, it penetrates deeply to nourish, moisturise and comfort skin, making your hands feel silky smooth and oh so touchable. 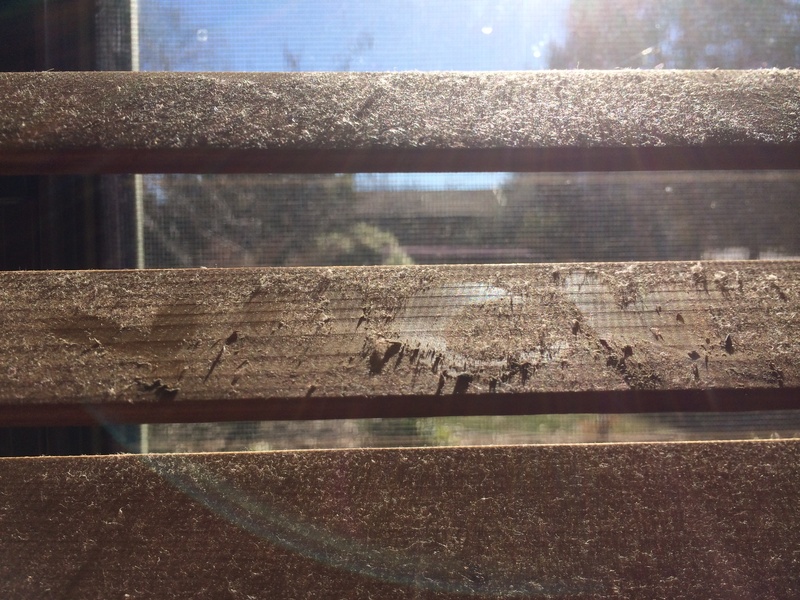 How to eliminate or reduce the likelihood of the build up or stains occurring again…. Add a magnet ball to the cistern! Yes true story. Why does that work? And what on earth is it? Firstly the magnet ball is usually used in washing machines and dish washers as it prevents calcium (& lime) from building up in dishwashers and washing machines, resulting in softer water and requiring up to 70% less detergent. A more unconventional but recommended use for it is in toilet cisterns as it softens the water. There has been much feedback from people who have water that is quite hard or who get constant stains in the toilet, that it truly helps! For example Sarah said, “I put one in mine, I have dam water on the toilet, I have to clean it at least once a month as it gets yucky, but my toilet bowl is still white (not like the old one that had a permanent brown stains) but I clean it once a month with blue diamond”. Your Norwex products come with a 60 day satisfaction guarantee and the magnet ball has a 5 year warranty too! I love that!! So you can try with confidence!! If you are looking to purchase any of these products, simply head to my online store or click on the links highlighted above. If you would like to ask me anything or get further help, please don’t hesitate to contact me. 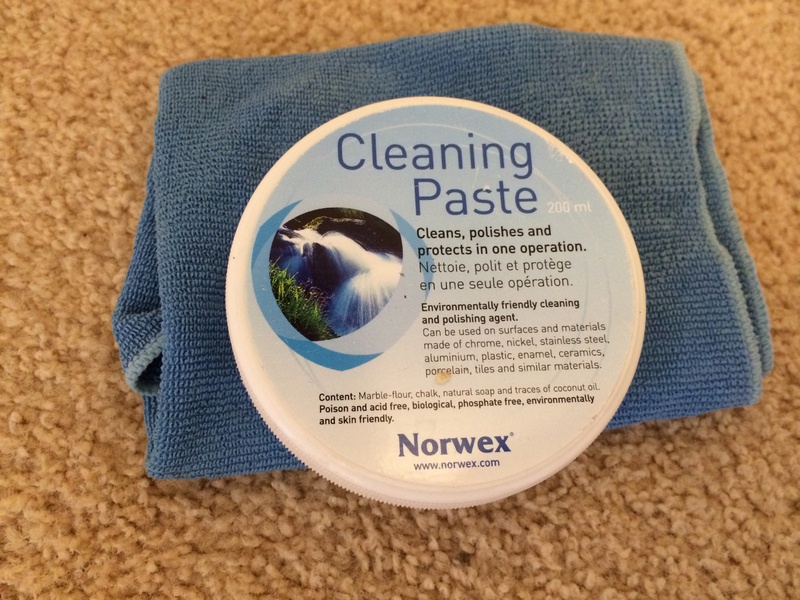 Grease and Mess sorted with these two Norwex Ninjas! Other uses for the Greasy Ninja… think: BBQ, range hoods, splash backs, stove tops, ovens, pans, Venetians etc. I think I just MAY be a “kitchen cloth snob” most people who love Norwex will do just what I admit to doing… packing 1 or 2 kitchen cloths when you go on holidays!! WHY? Because once you use this cloth it’s hard to go back to stinky, streaky, disposable Chux cloths or sponges. I did forget a while back at a family holiday on the Sunshine coast & the kitchen had lovely marble benches and man THEY ARE HARD TO CLEAN!! They streak so easily. So you can be assured that when you use this cloth it grabs up the crumbs, the microfibres clean the surface JUST WITH WATER and leaves it streak free. Yes it is true. Again, purchase on its own or get two as part of the Dream Starter Kit. They are fast drying and absorbent and made from microfibre and since they are antibacterial (during manufacturing they add silver to the microfibre, the silver inhibits bacterial odour, mould and mildew growth within the cloth) so they just don’t smell like other dish cloths. Where do you use them? It is fantastic for wiping kitchen tables and benches, stovetops, refrigerator shelves, cleaning up kitchen spills and washing up (just use it on the blunt side of sharp knives). Use them on stainless steel, enamel, ceramic, glass, chrome, granite, marble, slate, quartz, tile, wood, plastic, stone and china. Wring out and hang cloth after use. If you have a thermomix these are a MUST have! So the first area that I really tackled getting ready for moving out and that dreaded bond clean, was my kitchen. Many times over I thought, hmm I really should of done this sooner, oh well i am doing it now! In this article I will cover how I easily and quickly cleaned the range hood, marks off walls, cupboards and the roof, the exhaust fan, the oven, fridge, the sink, drain & more. If anyone read my first entry about the bond cleaning, I DID say I would be updating as it all happened, but I ended up being VERY pushed for time (surprise, surprise!) so I will write about them as I can. One of the gorgeous girls on my team posted some photos of her cleaned exhaust fans the other day. We were all very impressed. How did she do it? With none other than our Norwex Laundry Powder- our Ultra power Plus now a new even better formulation called Laundry Detergent– it is truly a very versatile product- washing, soaking, stains, oven racks, exhaust fans and more! Below is my before & after photo. Ultra Power Plus Soaking POWER!!! I used two ESSENTIALS in any big clean (or any clean really!) the Enviro Cloth AND Cleaning paste. A damp enviro cleaned MOST of the marks with just water. It really does give a superior clean, i’m amazed again and again at the cleaning power of this cloth. For those stubborn stains a light swipe of the cleaning paste and the mark easily disappears. I used to be a big user of gumption- not anymore!! On an aside- when we were doing the clean once the furniture had been moved out, I gave one of my friends these two products and gave her the job of the boys bedroom. When we moved into this house it wasn’t in the best condition and was a little disappointed as we had left our previous house sparkling. I came in about 20 minutes later to check on how she was doing and I said “Laura, those walls look amazing, you are doing too good a job- we need to just do the basics!” Her response? She was so funny and couldn’t believe WHAT it got off those walls (use your imagination a 4 and 8 year old boy lived in that room!) haha. * Where do I start? For the TOP of the cupboard & rangehood…. 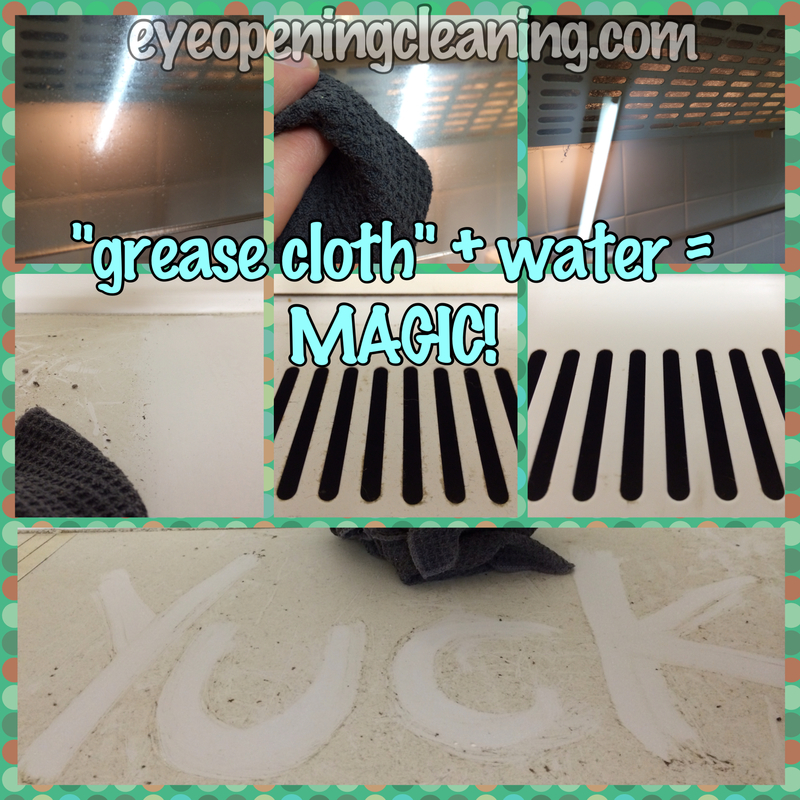 I called in the help of our “GREASE CLOTH” (the all purpose kitchen cloth) and JUST water! I know HARD to believe, but oh so true! This is one of our cloths with a real “WOW” factor!! People HATE cleaning the oven, in fact there are many people who PAY BIG money to have their ovens professionally cleaned. Norwex offers a NON CAUSTIC, EASY option. Really it is a MUST HAVE item! 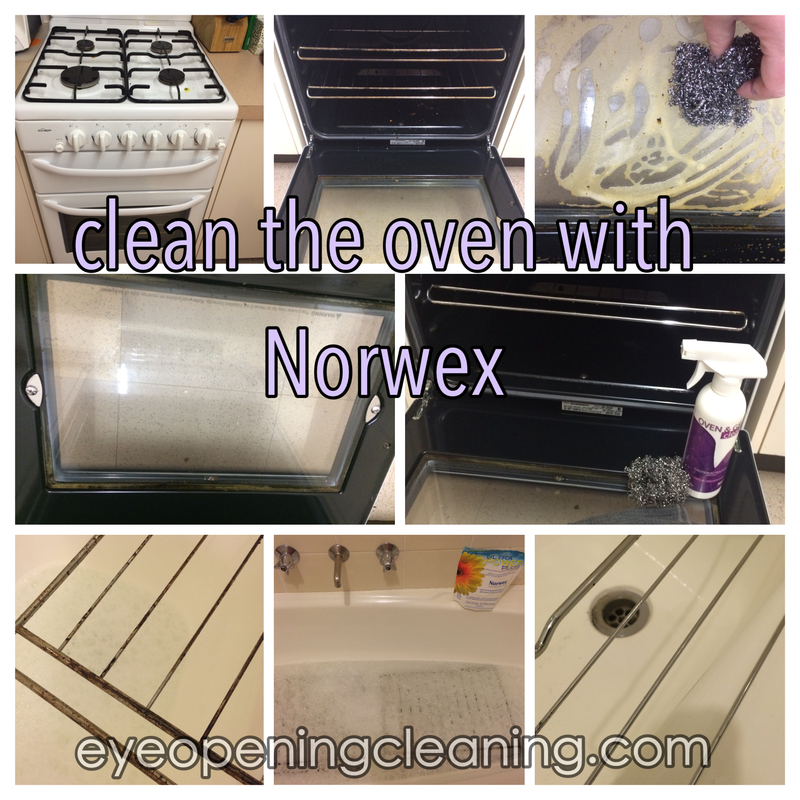 The Norwex Oven & Grill Cleaner and a simple Spirinett will be your BEST FRIENDS for cleaning the oven (& even the BBQ). I soaked the oven racks in Ultra Power Plus, which is now our new formulation called Laundry Detergent while I was cleaning the rest of the oven (you know how much I love that laundry powder!!) 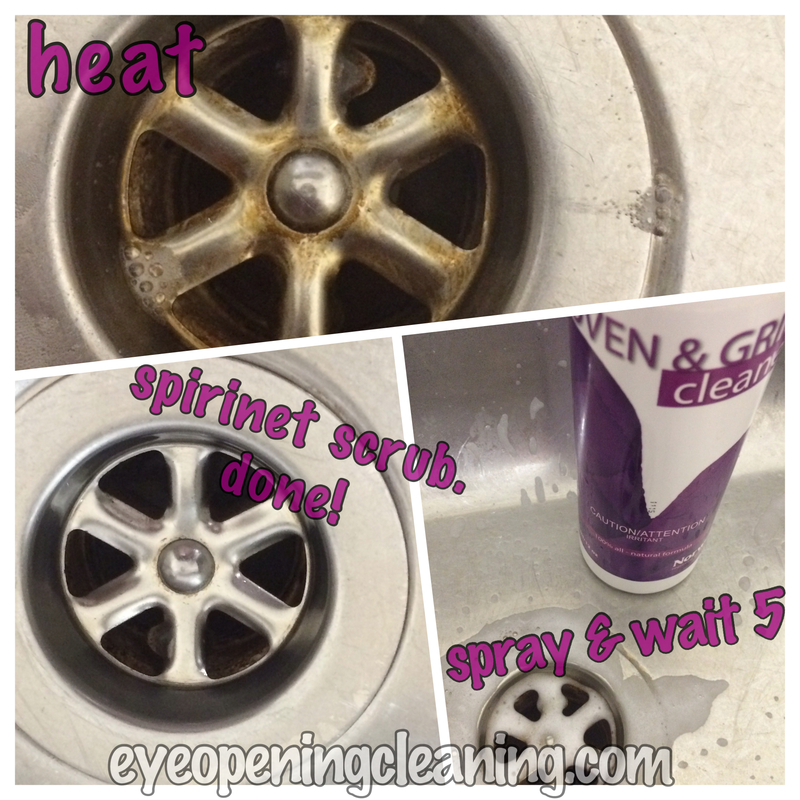 After a simple, light scrub with the spirinet they were SHINING like new. HOW? 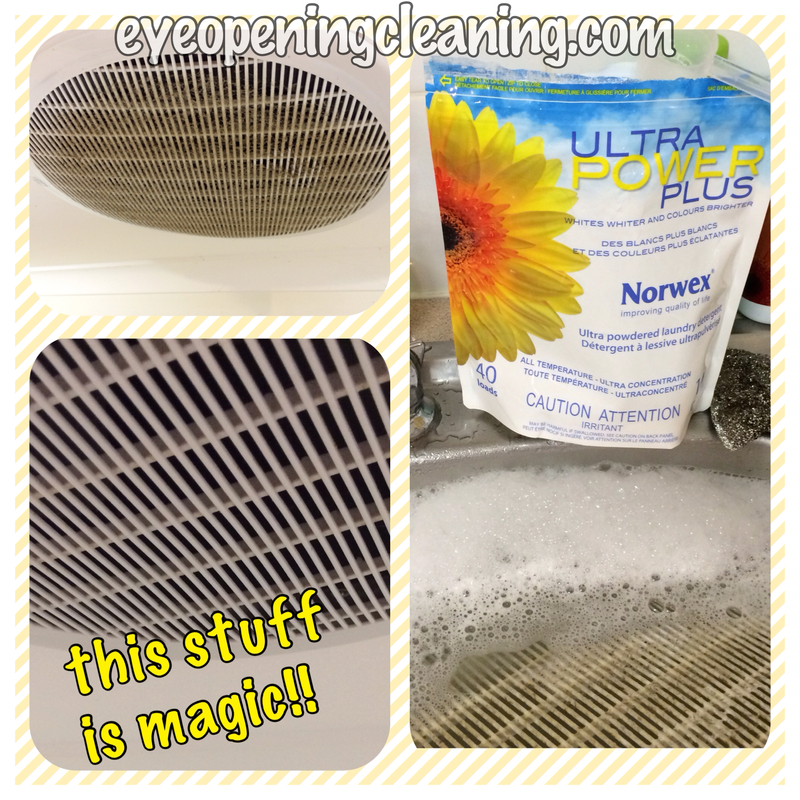 Norwex oven and grill cleaner, a spirinet, all purpose kitchen cloth & Ultra power plus! 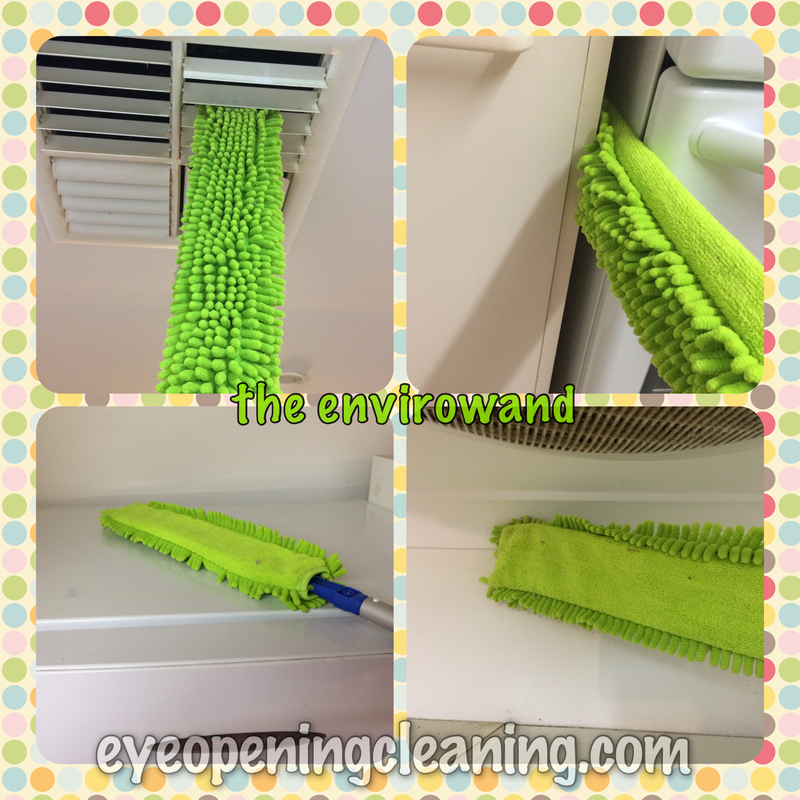 Cleaning all those hard to reach places… enter THE ENVIROWAND! This photo is the first of the envirowand pictures. Mainly just the ways I used it in the kitchen area on my kitchen cleaning blitz. Seriously BEFORE this night of cleaning- I always loved the envirowand BUT now when I talk about it… IT IS WITH PASSION!!! HAHA. Funny- the party I did shortly after this night I think out of the 6 guests, 5 people bought it & the other 1 already had it… HAHA. Seriously it is in my top 5 products for blitzing the home. 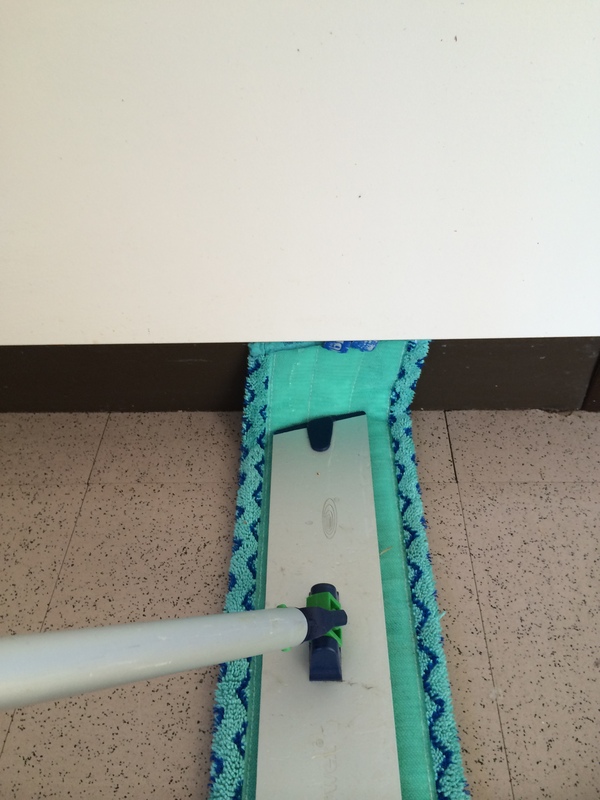 Using the mop pad off centre means you can clean skirting boards easily! 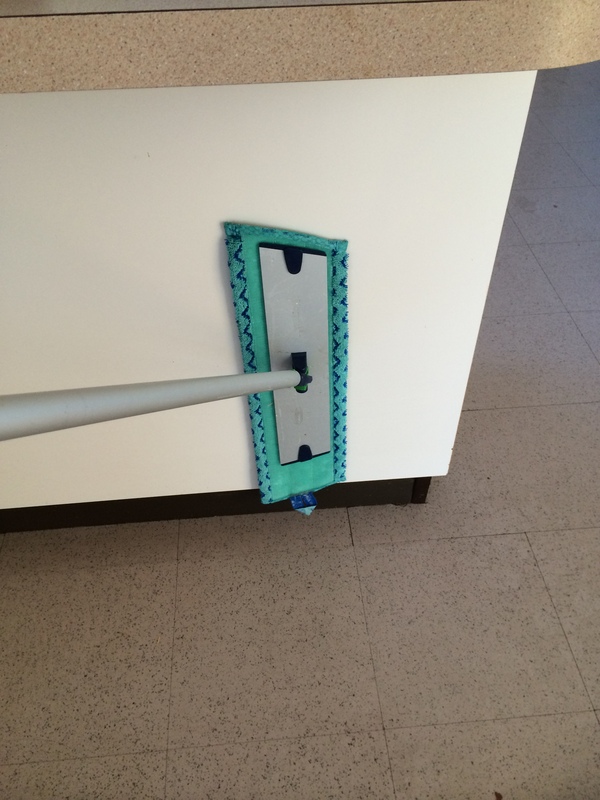 Clean more than the floor with this mop! 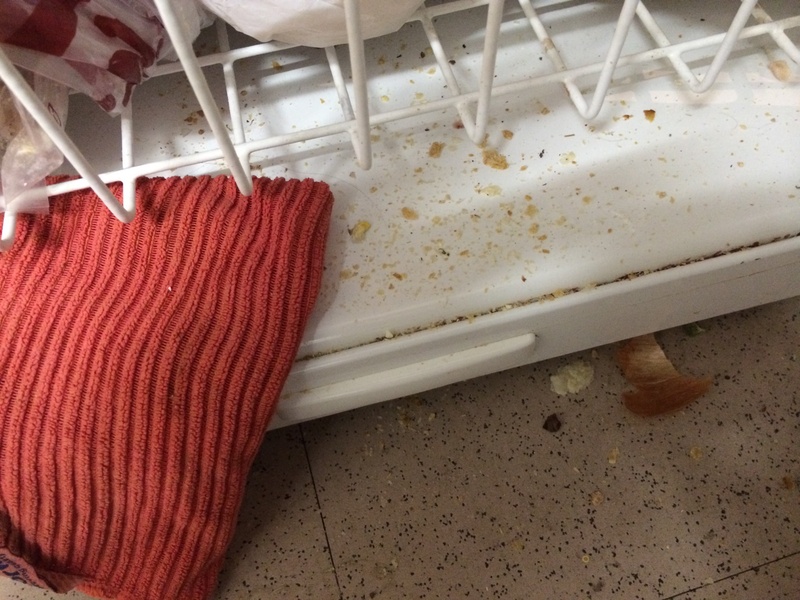 I also ran it over the cabinets at the back where the kids eat (so quite dirty)- SO EASY… See the piccy! No bending or scrubbing… (This was a regular thing I’d do around the rubbish bin wall. So easy. The mop was also a lifesaver then we had ALL the furniture out and had the washing machine and fridge moved… well anyone who has moved KNOWS how disgusting these areas get! It was an absolute timesaver- you will have to wait for these pictures in one of the posts about the bond clean… I know you can’t wait!! LOL! Excited over a mop. Really. While I was in the kitchen grabbing a drink of water… my eyes went to all the crumbs and muck in the fridge. GROSE!! 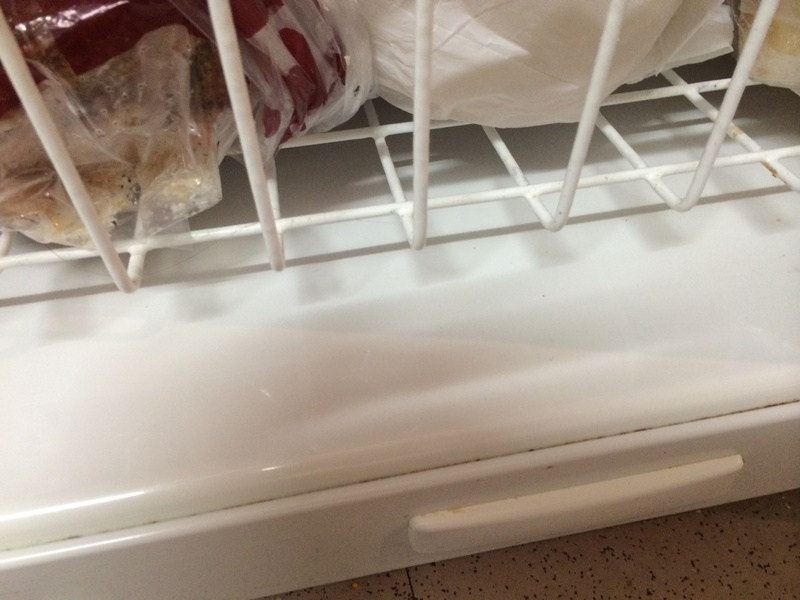 How do fridges get so dirty?! WELL all I used was my kitchen cloth and cleaning paste for some marks I needed to budge. The great thing about this cloth is the crumbs just go into the cloth rather than be pushed around like a regular chux or wipe. Seriously a SUPERIOR clean. EVERY house needs at least 3 of these- and REPLACE all your chux, paper towel & wipes. Kitchen Cloth & crumbs = NO PROBLEM!!! So at the end of this Blitz it was 11.30pm but in 90 minutes MUCH was achieved and I patted myself on the back. 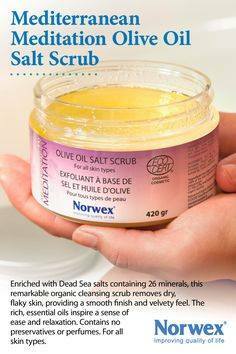 My FAVOURITE Salt scrub…. My hands were ready for some love… and this is the most amazing scrub I’ve ever ever used. You can do it all over your body but my hands were treated tonight. I love this stuff. Such a beautiful gift too. 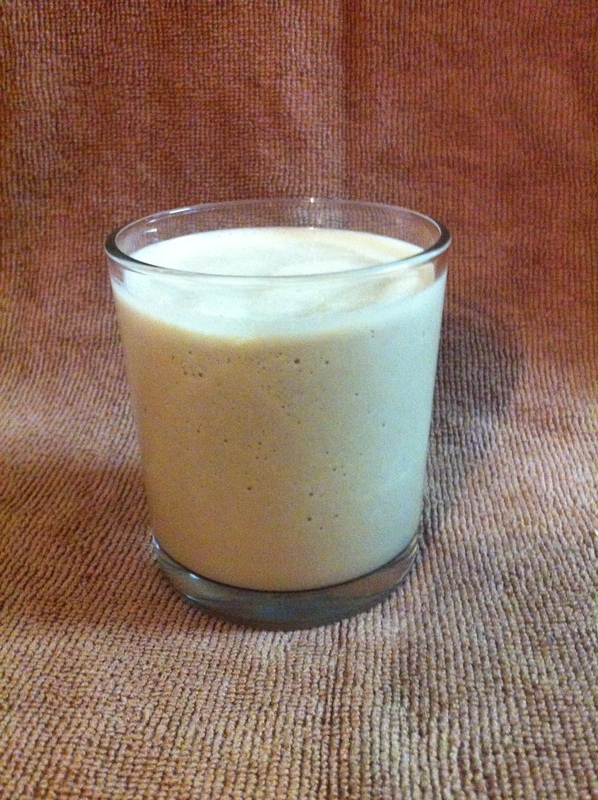 I made a Bailey’s Frappacino… HEAVEN in a drink!! (click on the link to get the recipe, I like to share it with people I care about… you are reading this so it seems logical I would share it with you 🙂 … It may have been slightly bigger than the one pictured!! Maybe.. quite possibly!! lol. 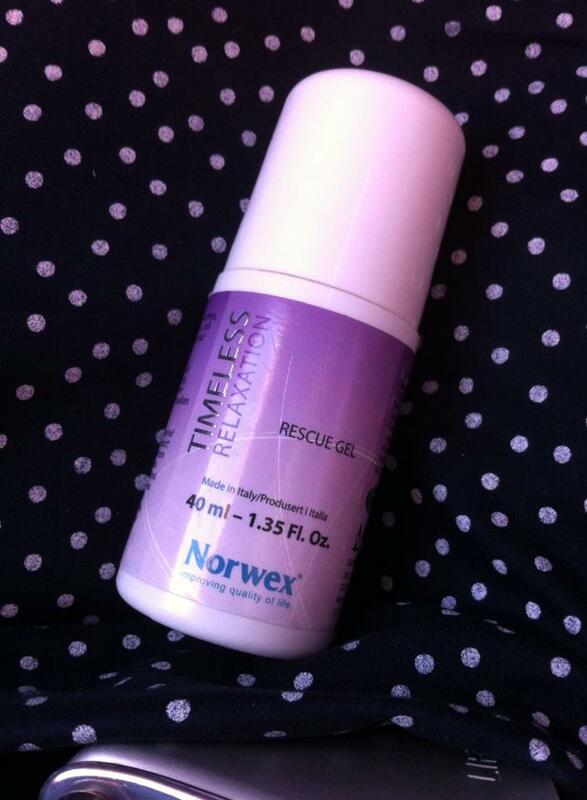 While I was drinking my treat, I rubbed RESCUE GEL on my irritable legs and sore back and then called it a night!! This amazing product is awesome and can help with so many things- everything from headaches, calming, pains, bruising, sleeplessness & MORE- SO MUCH MORE! !